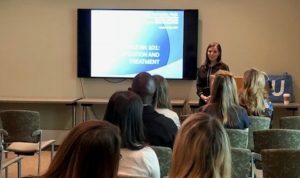 UCLA Tarjan Center Lecture – Vindia G. Fernandez, Ph.D.
Vindia G. Fernandez, Ph.D. presented, “Dyslexia 101: Identification and Treatment” at the UCLA Semel Institute as part of the Tarjan Center Lecture Series. The presentation covered information on identifying difficulties and cognitive patterns commonly exhibited by children with dyslexia and other related disorders; key differences between assessment strategies used by educational professionals in the school setting and clinical neuropsychologists in the private/outpatient setting; and evidence-based interventions and where to find them in the community. CLICK HERE TO WATCH THE FULL LECTURE!